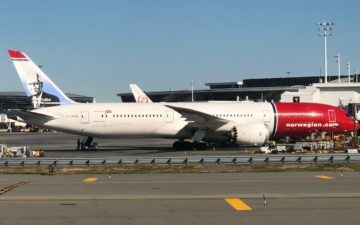 For the past several years Norwegian has grown like crazy, as they’ve expanded both their short-haul and longhaul network. 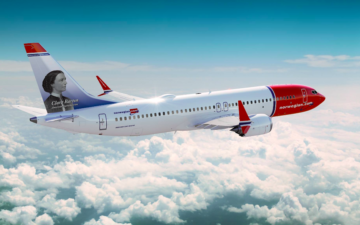 While many people may be familiar with Norwegian’s transatlantic flights between North America and Europe, the airline has a lot more routes than that. 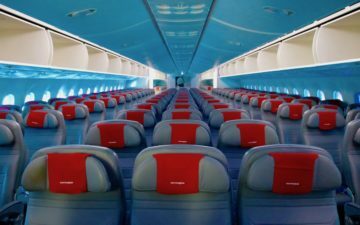 Norwegian also operates tons of flights within Europe (which Europeans are no doubt familiar with), and even operates flights within the Caribbean, and from the Caribbean to the US and Canada. We know that Norwegian has been struggling financially, and the airline is undergoing a major restructuring. 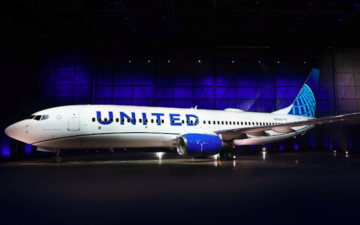 So the airline is now altering their strategy from being focused on growth to being focused on profitability, and that means the airline will shrink significantly. I believe those are the only routes they’re operating at the moment, though it’s possible there are more. For a while the airline was operating even more routes to the Caribbean (including out of Providence), but most of them have been cut. A Norwegian spokesperson explains that the airline hasn’t achieved the desired profitability for these routes. The timing of these cuts is funny to me, since I hadn’t fully realized just how many routes they had until recently. 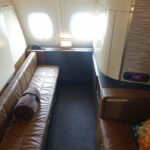 I was considering taking Air France’s fascinating flight from Miami to Cayenne (with several stops), and had considered flying back on Norwegian. I guess that’s not happening anymore. Are you surprised to see Norwegian cut their Caribbean route network? Bad news! The nice part was that serviced locations that had less traffic (nonstop) and I love going to new spots, even if they aren’t the nicest islands in the Caribbean. And the flights from NY are so short that who cares about “no-frills”. That’ll teach me to procrastinate. Every year they switched the cities these routes operated (Providence, Boston etc) which indicated that they were never happy with them. Also, you could get a ticket for like $39 sometimes. Sad to see Norwegian retrench, but this was inevitable given their increasingly difficult position. Assume this was to optimize or make possible their convoluted entity structure, but the Caribbean market is highly competitive, with a lot of low cost carriers in the mix. Seems like it was a nice to have and maybe necessary from a structure perspective but not the best or most efficient use of their assets. This only applies to US/Canada-Caribbean routes, not the European ones right? What typically lazy reporting Lucky on the Norwegian topic. “Norwegian will be ending all Caribbean operations as of the end of March 2019” and “I believe those are the only routes they’re operating at the moment, though it’s possible there are more”. How many seconds can it take you to look at their route map? FDF to Madrid, Amsterdam, Gatwick, Oslo, Stockholm. And so often you refer to them only as a transatlantic airline when those flights account for a minority of their routes. Just look at Arlanda with 60+ routes to Bangkok, Krabi, Dubai, all over Europe etc. And huge operations at Oslo, Copenhagen, Gatwick again with transatlantic as a minority of routes. Cayenne is a really odd route for a lcc to fly to. However, airfare to the Caribbean has decreased over the years. These lcc’s flying into the Caribbean is good for business. It has made it much cheaper for me to fly and visit my family! Thank God I was able to travel to this exquisite paradise for $189 r/t this January, before the cut. I am purshasing property here and hope to die here. Maybe it is better to keep Americans out of here anyway. I love Norwegian Air and look forward to new finds and excellent service. 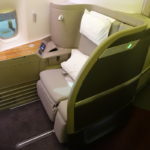 Excellent Business class from Paris to New York. No fun. Any alternative to connecting on LIAT was lovely. Those of you who fly LIAT with more regularity can explain why better than I can. The great thing about Martinique has always been that the island really doesn’t care all that much about tourism! Money pours in from Paris whether visitors come or not. So there’s an appealing authenticity to this gorgeous island. Of course both Martinique and the slightly less appealing island of Guadeloupe are popular with the French, who don’t need a passport to fly over from Paris. The best way to reach Martinique from the States used to be aboard Air France’s sleek little Caravelle from Miami. The flight took all day, since it made umpteen stops along the way. But the lunch and dinner served en route to Fort-de-France were always amazing and the pouring of Champagne never stopped. While it’s too bad Norwegian is bowing-out of the Caribbean market (though I’ve never flown them), I am pleased to see from the above photo that my great grandfather’s cousin Clara appears on one of their planes! This is really too bad, but probably predictable. I recently flew Norwegian from FLL to PTP and returned from FDF to FLL. Both flights were about 50 percent full and running at a frequency of 3x per week. While Guadeloupe and Martinique may not be as popular as other Caribbean destinations, they certainly hold their own with regards to beaches, and atmosphere. They are a slice of France without the pretentiousness of St Bart’s or the commercial development of St. Martin. To truly take advantage of this sector would have been to market packages which Norwegian really didn’t do. I’m glad I got to visit these islands when I did. You are definitely right about the routes operated currently by Norwegian from and to the French West Indies. Current destination from Guadeloupe (PTP) and Martinique (FDF) are YUL,JFK, FLL and CAY. All routes are operated with Boeing 737-800 (EI-FJP and E-FJS based at TFFF/FDF, EI-FJN and EI-FJO bases at TFFR/PTP). Expected routes from Paris ORY or CDG were never operated. Routes to Boston, Baltimore and Providence have been already cut years ago. Well, maybe next cancelled route would be GIG/LGW? I never got why they would ditch LGW/SIN for GIG in the first place. I mean LGW/SIN may not have made money but why Brazil? They’re trying GIG because EZE has been very successfully and SIN was a disaster (anecdotal evidence I’ve read said people had whole rows to themselves). Glad we got to visit both Martinique and Guadeloupe before they ended. I blame this on lack of promotion. NO ONE KNEW THESE ROUTES EXISTED!! !